One year has passed since Roan, Alandra, and the children escaped from the Brothers. Now, in the haven they call Newlight, Alandra has begun traveling the Dreamfield with the children, exploring their potential. But when the children mysteriously fall into life-threatening comas, Roan and Lumpy set off to find a cure. The remedy may lie in the hands of Roan's lost sister, Stowe. But Stowe, now the icon of the City, has become obsessed with her growing powers – powers that threaten to overwhelm and transform her into a destructive, vindictive force. Through the lens of a dramatic, futuristic saga, FREEWALKER continues the stunning look at loss and revenge that began with THE DIRT EATERS. In this highly suspenseful second novel in The Longlight Legacy, author Dennis Foon displays once again his great originality and unstoppable imagination. 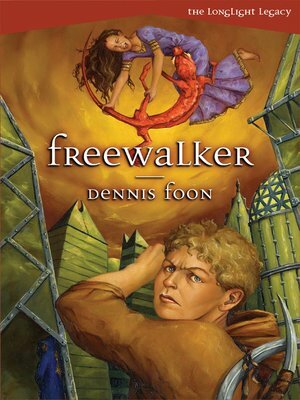 FREEWALKER is powerful and fast paced, with unexpected twists that await the reader with every turn of the page.